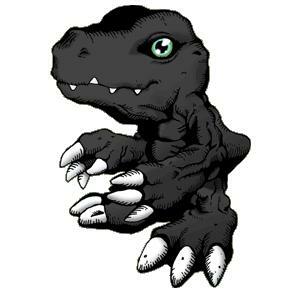 A Reptile type Digimon that was able to walk on two feet through evolution. 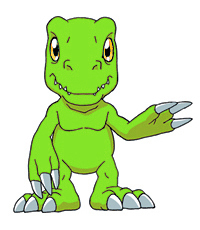 He is reliable and ferocious, and sports a very brave nature. Although he can compete against scary enemies, as his body is still in the middle of evolving, he wields weak amounts of power. He is a typical existence of a Rookie leveled Digimon, and is a Digimon who has many confirmed subspecies. 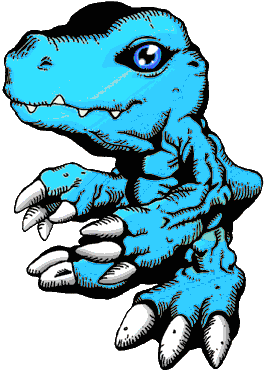 This Digimon's first design outside of the V-Pet was seen in the manga C'mon Digimon. Origin / Japanese. Agu is short for agurabana, which means a wide, flat nose. Agu might also be short for aguagu, the sound of biting. Origin / Japanese. Agu is short for agurabana, which means a wide, flat nose. Agu might also be short for aguagu, the sound of biting. He's an Agumon with an awakened wild instinct that evolved into the Virus kind. He still has a ferocious nature, but his heart of justice has almost disappeared. He attacks the enemy with his sharp claws. The Digimon you are viewing now is categorized as a D-Project Recolors. These recolors come from the Digimon video game, D-Project. 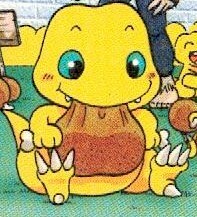 This game had an interesting feature where, when choosing a Digimon, you also choose which attribute you wanted it to have. 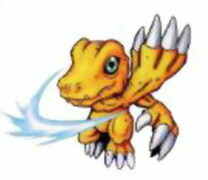 This attribute change would also change the color of the Digimon. 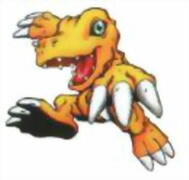 The reason these Digimon are not categorized as Special Recolors is because, for the most part, the Digimon involved don't have a full blown color change, but more of a color tint change. 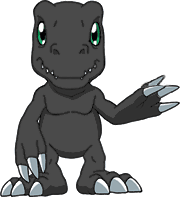 Also, because certain Digimon who already have Special Recolors have different recolors in this game. There is no longer any requirement to use Internet Explorer or IE Tab to view my site properly anymore. I personally blame myself.